The Human Research and Development Minister Smt. Smriti Zubin Irani have encouraged digital India by launching a new app and portal for multi-lingual knowledge. According to the minister the portal will be a major part of revolutionary step that has taken by the Modi government in recent past namely the Digital India. With this portal and also a mobile app, people from across the world will get to gather knowledge on more than 35 languages from this single platform. The objective of the portal is to unite the diverse culture of the nation through different languages and also the digital platform to explore knowledge. Contents Textbooks, dictionary, terminology, glossary, IT tools. The name of the portal is www.bharatavani.in. As of now one can find total 35 languages in this portal which will be extended to more than 200 in new future. According to the ministry of HRD India, the portal is launched under the supervision of PM Shree Narendra Modi who has a broad mission of Digital India. The portal mainly showcases the content, textbooks and technology that are widely used to create and share knowledge with each other. Also it promotes the different types of Indian Languages so that people from each corner of the country can join the portal and explore the knowledge. Multi lingual portal is not a new concept but having so many languages at a single joint is definitely something that India has witnessed for the first time. As mentioned the portal has started with 35 basic Indian languages along with foreign language English. The ministry and the authority have declared that they have the vision and mission of adding 250 languages in near future. As of now there are 35 languages available in the portal. 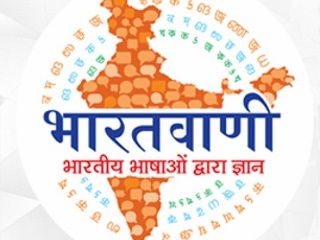 Some of the languages are as follows: Hindi, Bengali, Gujarati, Malayalam, Sanskrit, Punjabi, Marathi, Kannada, Odia, Manipuri, Kashmiri, Telegu, Sindhi, Dogri, Bodo, Nepali, Tamil, Tulu, Ho, Lepcha, Konkani, Maithili and English. The leading languages are already been added along with some regional languages in the portal. According to the ministry of HRD, the other regional languages that are used in semi-urban or rural areas will also be launched in the portal. The main thing about the portal is availability of the site or knowledge contents in multiple languages in one single portal which is very new in India. The portal is specially designed for the knowledge creation and knowledge sharing. There will be text books, dictionaries, glossaries, tools and technological books through which people will get to acquire more knowledge about diverse fields. It will be a casement of language diversity. Through this portal the government of India has taken a movement to promote, protect and preserve the diverse languages that are spoken in the country. The language technology that is used in the portal will be a great step towards the global digitization. The multi language content and tools under one portal will generate a huge data within a single joint. The scenario sounds complicated but language technology makes it lot easier. This feature will definitely make the portal globally accepted and will be a brave move for the nation. On a macro level, the portal will integrate the nation in one single group under one roof or one portal. Not only you will get your requirements in your language but also you will be able to know more about other languages as well. All these contents will be available under this portal. Currently they are using TDIL as the Information Technology (IT) tool in their portal. The portal has launched a mobile application as well. The application is available in Android platform. Anyone who has Android mobile phone can find and download the app from Google Play Store. The application is free and anyone can use it. The application has 35 languages as of now and like the online portal they are planning to bring 250 more languages in a single application. According to the ministry they are on the way to build the largest multi lingual portal in the world with Bhratavani. Once created a big buzz by her demand for having Sanskrit in IIT colleges, Smt. Smriti Zubin Irani is way too hopeful about the success of the portal. According to her the launching of this kind of portal will leave a mark in the global digital market. As far as India is concerned, such knowledge based multi-lingual portal is very new to the inhabitants of the nation. The mission and vision of the portal is to integrate the people of India and make them aware of their culture and language. Also the ministry says that by launching more than 250 regional languages will make it bigger than ever. From now on one can read, lead and share knowledge on diverse subjects in their own language. As a whole the portal looks promising to the people of India. There are 29 available languages we have found in the website and they all work perfectly. The Android app is also running better. But as per their plan, making the largest multi lingual portal in the world seems little unstable as it needs high data store in one single portal. Apart from state governments, reputed universities also do their part in developing and spreading educational schemes. The University of Mysore had taken up another educational project, named Bharatvani. Under this project 300 Kannada literary masterpieces will be converted into a digital format. The university has joined hands with the Central Institute of Indian Languages to digitize and upload the contents. These works will be available in audio and video formats. Interested candidates will have to log on to the official portal to access these files. Projects like these not only conserve literary works, but also play a vital part in the dissemination of knowledge.